The government is making changes to benefits from April 2016. With many people struggling to manage their finances, we have summarised the upcoming changes and how you can access further financial help and support that you could be entitled to. The Chancellor announced in last year’s Summer Budget that there would be a four-year freeze on working age benefits and tax credits. The freeze will affect; Jobseekers Allowance (JSA), Employment and Support Allowance (ESA), Income Support (IS), Housing Benefit, Universal Credit, Child Tax Credit, working Tax Credit and Child Benefit. Pensioner, disability, carer and maternity benefits are excluded from the freeze. 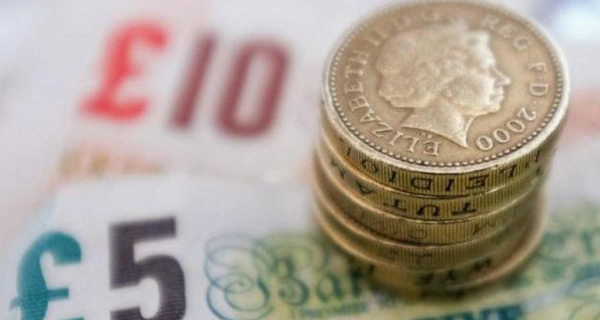 Despite the Government’s U-turn on changes to in-work tax credits last year, there will still be a reduction to the tax credit ‘income rise disregard’- the amount a claimant’s income can increase in-year without seeing a reduction in tax credit entitlement. The disregard will reduce from £5000 to £2500. From 11 April 2016, the Universal Credit Work Allowance – the amount you can earn without your benefit being affected will also be reduced. For disabled people and people with children the work allowance will reduce to £192 per month if they have a housing costs element in their claim and £397 per month if there is no housing costs element in the claim. The allowance will be abolished altogether for non-disabled claimants without children. From 1 May the Housing Benefit Family Premium will be withdrawn for new claims for housing benefit with a child on the claim. From April, Housing Benefit backdating will be reduced so that new claims for working age claimant will be backdated for a maximum of one month (previously up to six months). Claims for Housing Benefit can only be backdated if you show that there was ‘good cause’- a strong reason for not claiming the benefit earlier if you meet the qualifying conditions. If you are getting Housing Benefit and Pension Credit, you are able to continue to receive payments for a period whilst you are temporarily absent from the UK. From May 2016 this will change - you will only be able to receive payment for the first four weeks of an absence abroad. This will be reduced from the previous 13 week period for most cases. From 1 April, there will be a four year freeze to Local Housing Allowance rates which set the maximum amount of Housing Benefit (Universal Credit housing cost element) that private renters on a low income can receive towards their housing costs. If you are a homeowner receiving Income Support, Income based JSA, Income based ESA or guaranteed Pension Credit you can claim Support for Mortgage Interest (SMI) costs to meet your mortgage interest payments. From April the waiting period for SMI claims will change from 13 to 39 weeks. If you are already in a waiting period on or before 31 March 2016 the current waiting period will still apply. The capital limit for SMI will be maintained at the higher level of £200,000. The waiting period does not apply if you are getting Pension Credit or if you or your partner are the qualifying age for pension credit in most cases, other more remote exceptions can also apply. From 11 April 2016, the Childcare Costs element of Universal Credit will increase so that you will be able to claim back up to 85% of your paid out childcare costs up to a monthly limit of £646 for one child or £1108 for two or more children. Previously only 70% of cost were covered for a lower monthly limit. A New State Pension is being introduced for people who reach state pension age on or after 6 April 2016. The full New State Pension will pay £155.65 per week which is above the basic level of means-tested support currently available through Pension Credit. The new National Living Wage (NLW) came into effect on 1 April 2016. All workers aged 25 and over will be entitled to earn a minimum of £7.20 an hour. The Government in the 2015 Summer Budget put forward proposed plans to reduce the Benefit Cap for families to £23,000 in London (£15,410 for single claimants) and £20,000 elsewhere (£13,400 single claimants). To give sometime to prepare for the new cap it is now planned to come in from autumn 2016. You can use the Turn2us Benefits Calculator to make sure you’re claiming your full entitlements. Even if you’ve checked in the past, it’s worth doing so again, especially if you’ve seen a recent change in circumstances. Our website has further details on all the benefits mentioned in this article as well a Benefit Changes Timetable for 2016 with full details on all upcoming changes. If you are worried about any of the benefit changes and would like further advice on your particular situation, you can use our Find an Adviser tool to locate face-to-face advice in your local area.